It's been over a month, but I'm back. So, so happy to be back and brimming with new inspiration! For the last month, posting has been scarce here because I've been hard at work doing the photography for my forthcoming book Flavored Butters. Yes, it's for real, I got the job! And even before the papers were all signed, I dedicated every waking moment to photos of butter and more butter. Four weeks of blending, shaping, styling, and photographing butter. To the point where I even dreamed butter. It's amazing how a study of a single subject can get your creative juices flowing and get you all fired up to work with other ingredients. And how lucky is this? The day I was finally ready to take a break from all the butter just happened to be the opening of cherry season. 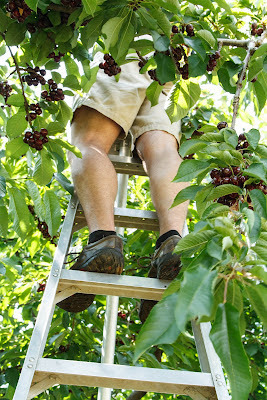 Hubby and I hightailed it out to cherry country for some u-picking. Did you know that you have to risk life and limb for the best cherries? 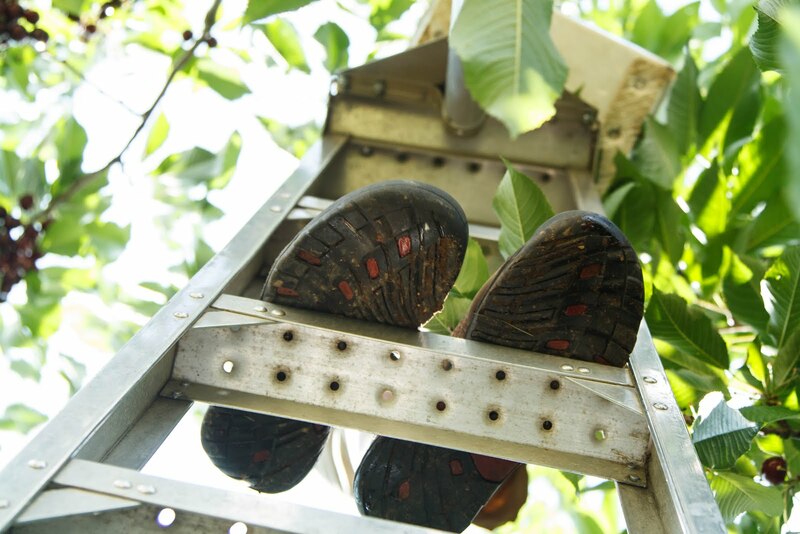 The sweetest ones are always on the highest branches! 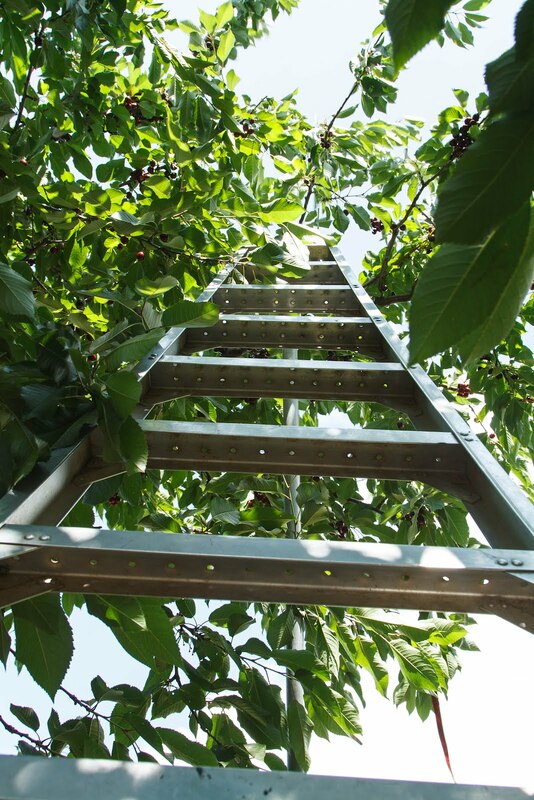 Stay tuned—there are more cherry recipes to come! Preheat the oven to 350˚F. Blend together the egg and yolk in a small bowl. Stir in the cream, sugar, and vanilla. 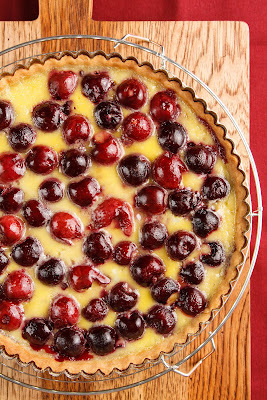 Spread the cherries in the bottom of the tart crust. Slowly pour in the egg mixture. Bake for 30 to 35 minutes, or until just set. Let cool to room temperature. Refrigerate for 2 to 3 hours, or until firm. Cut the tart into portions and serve immediately. Makes 1 9-inch tart, serving 8. This tart is perfect in the summer, when cherries are in season.